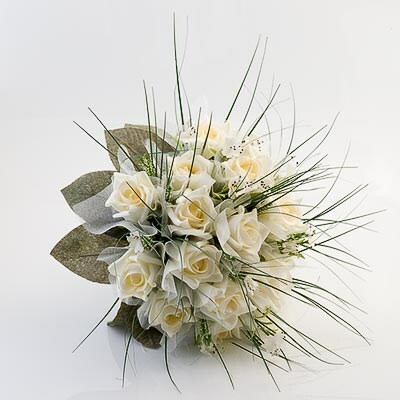 Our large ivory polyfoam roses bouquet is beautifully finished with organza ribbon and bear grass. This excellent value bouquet is ideal for weddings abroad or at home and afterwards is perfect for you to have as a keepsake of your special day. Each bouquet is handmade therefore dimensions are approximate.